In 1989, perhaps due to the global collapse of communism or their exhaustion with their own version of it, students and citizens of China organized nation-wide sit-ins for democratization. As tensions grew higher, Chinese government officials enacted a series of martial laws in order to curb the tide against the ruling Comuunist Party. By June 3rd, these tensions culminated and the government sent its military into Beijing to squelch the protests and their participants by any means necessary. For two days, forces shuffled out journalists and cracked down on their own people, killing anywhere from a few hundred to several thousand civilians. 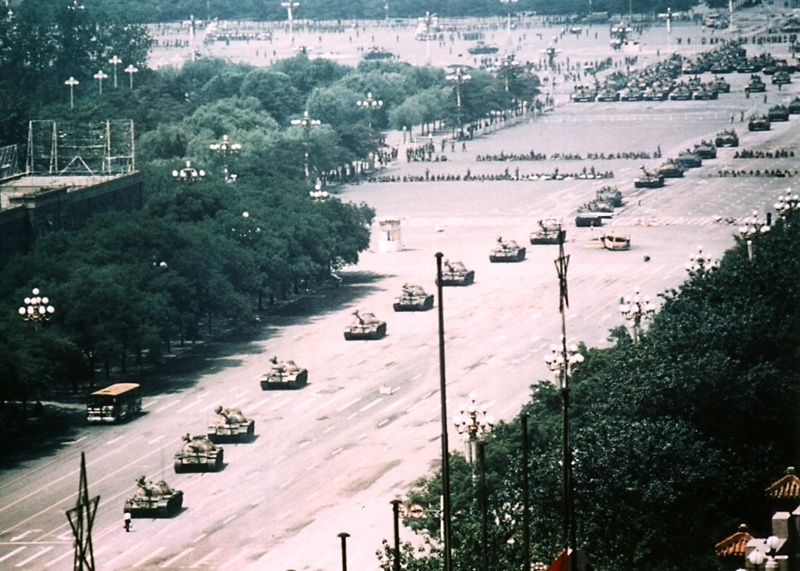 On June 5th, in a show of military dominance, the army paraded their tanks down the empty streets, turrets erect. 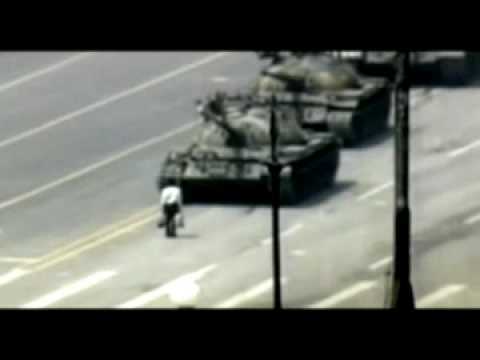 Just when it seemed that an oppressive government had cemented itself as invincible in the minds of its people, a lone man on his way home from shopping stood in the path of the tanks barreling down the avenue. For what seemed like hours, the young man blocked the tanks’ progress and attempted to reason with the drivers before a small group of panicked citizens (or, if you’re journalist Charlie Cole, the Public Security Bureau) hurried him from out of the street. If you have never seen the video of the stare-down, take a few minutes to restore your faith in humanity. 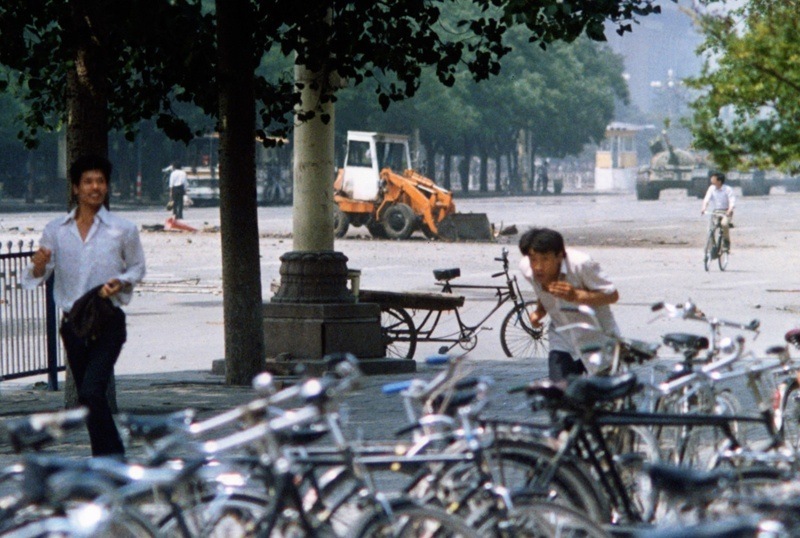 Twenty-four years later, the mystery regarding Tank Man’s identity and whereabouts still springs eternal. Many assume he was quickly snatched up and executed, and high ranking officials have given cryptic statements that give the impression that he was at least imprisoned. But others, like Jan Wong, speculate that the Chinese government has no idea where Tank Man might be either, and that he’s still alive and hiding in central China. No matter the case, the image of a single human passively defeating a whole army will forever remain in the human consciousness as proof of our ability to persevere against even the highest of odds. Though slavery was officially abolished on American soil following the Civil War, many southern states had enacted segregation laws that forbade race mixing in public. Under Jim Crow laws, black citizens were subjected to subpar schools and housing, refused service at “white only” stores and restaurants, and were designated seats in the backs of theatres and buses, all under the hollow pretense of being “separate but equal.” After nearly a century of this humiliation, black Americans in the south and across the country began to wonder if they would ever receive the basic rights they deserved after centuries of dehumanizing treatment. 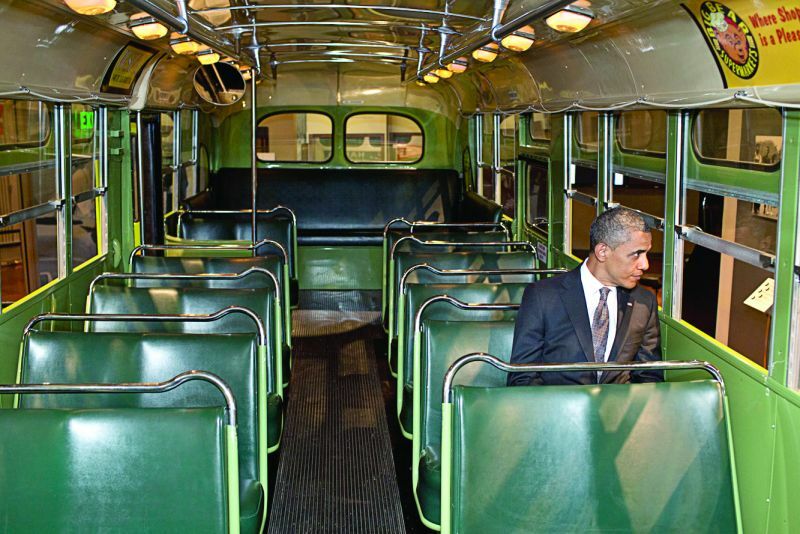 On December 1st 1955, Rosa Parks boarded a nearly empty bus home after a full day’s work. 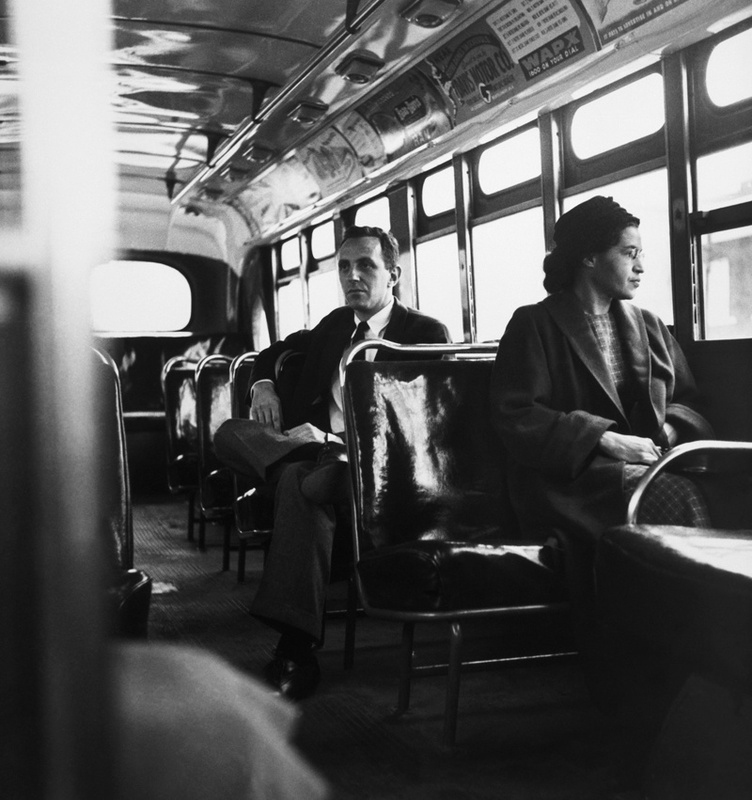 Gradually, the bus filled up with white passengers, and the driver pushed the colored-seating sign back farther, which would inevitably force Parks and three other black passengers to move or stand. The others left their seats with little protest, but Parks refused, briefly explaining that she didn’t think she should have to. When the driver threatened to have her arrested, she told him “You may do that,” and moved one seat over to the window. She was arrested and fined a total of $14 for her disobedience, and even lost her job as a seamstress because of the controversy. But the fury in the black community was felt almost immediately, and boycotts of were organized to great success. Even on rainy days, supporters would find alternate methods of transport or just walk, sometimes as far as 20 miles. 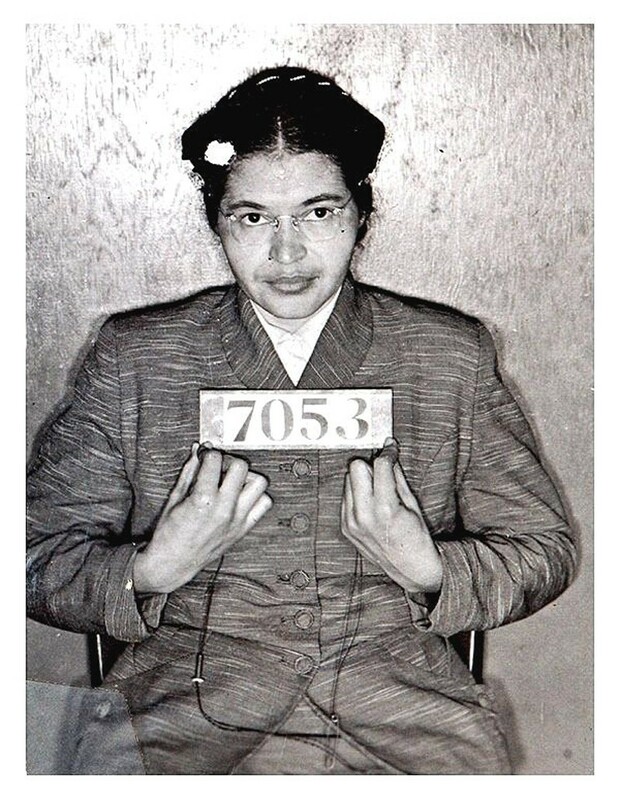 Only a year after Parks’ arrest the Montgomery buses were integrated, but the effects of her disobedience would have ramifications far beyond seating arrangements.